A Seattle based organization writing with institutionalized youth. Website for youth authors, teachers and counselors. Complete with writing exercises, poems of the day and activities. Based out of Capitol Hill writing center Richard Hugo House, ZAPP is a Zine library of over 20,000 zines. Check website for times, activities and publishing resources. SPL offers everything from tutoring help online, to research databases, to zine making workshops. 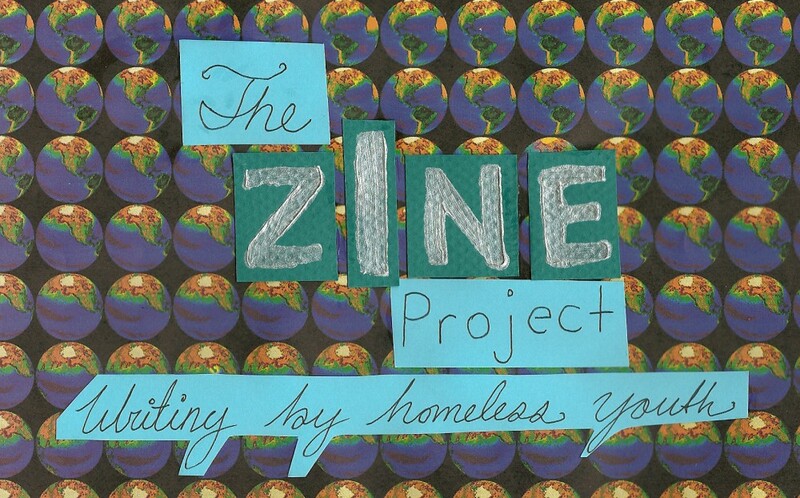 SPL U-district Branch also carries many zines published by the Zine Project. 826 Seattle is a non-profit writing and youth tutoring center. They offer writing workshops and have a variety of publishing projects. A U-district drop-in art space for homeless youth to make art. Seattle based organization providing workbooks for youth, teachers, and counselors, as well as trainings encouraging art making as a therapeutic skill. Fellow member of the New Working Zone consortium, along with the Zine Project, Tile hires youth for a short term internship making mosaic pieces and learn other fine art skills. Fellow member of the New Working Zone, W.A.G.E.S. hires youth for a short term internship filling customer service and production roles in varying Seattle locations. A U-district drop-in center for homeless youth. Offers activities and life skills workshops. A U-district meal program providing dinner every night of the week to homeless youth. Providing medical care to homeless youth in Seattle’ s Wallingford neighborhood. A homeless youth drop-in center in Belltown. Providing case management, housing options and drop- in center for homeless youth. An independent bookstore across from Seattle’s historical Pike’s Place Market. Left Bank Books sells Zine Project zines! hello my name is Acacia Wrack & I live in the Isis Program & i was wondering if i could show some of my art work here, my dream is to have my artwork on a street build broad & for people to look at it everyday and also having that feeling, saying “I made/created that art piece” it would mean the world to me! Zine Project Seattle would love to post artwork from you. Please email me (Zine Instructor Shaun) at shaunm@ccsww.org and include some of your work in an attachment. Or… stop by University District Youth Center (UDYC) 4516 15th ave. N.E. Seattle, WA 98105 between 1-3:30pm, during our daily drop-in and we can do some scanning and posting together if you want.